We are very excited to announce our new partner Molecular Vista for nanoscale IR spectroscopy. 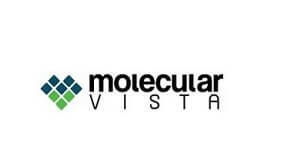 Molecular Vista designs, develops, and provides tools that allow customers to probe and understand matter at the molecular level. Their instrument which combines AFM with optical spectroscopy (IR) uses the patented Photo-induced force microscopy technique and can be used for studying material & biological systems with chemical specificity and nanometer spatial resolution. If you are interested what this technique can do for you, feel free to request information through info@instruments.com.